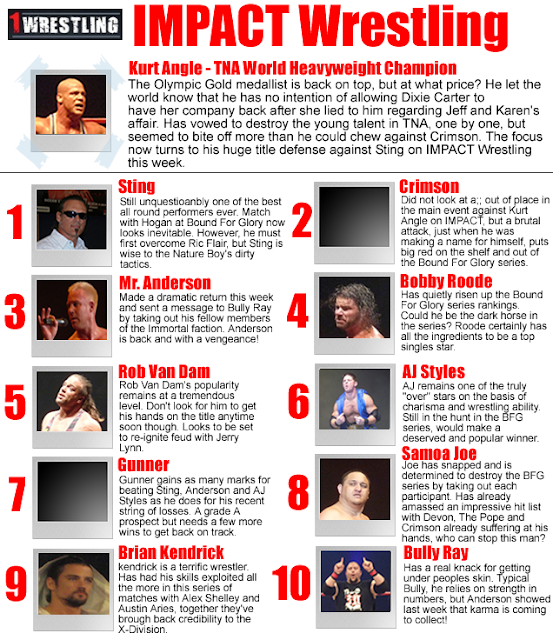 Each week 1Wrestling.com’s resident rankings expert, Ray Mullan, will be scouting the major North American wrestling promotions in order to bring you an in-depth rankings report for the top championships in Pro Wrestling. 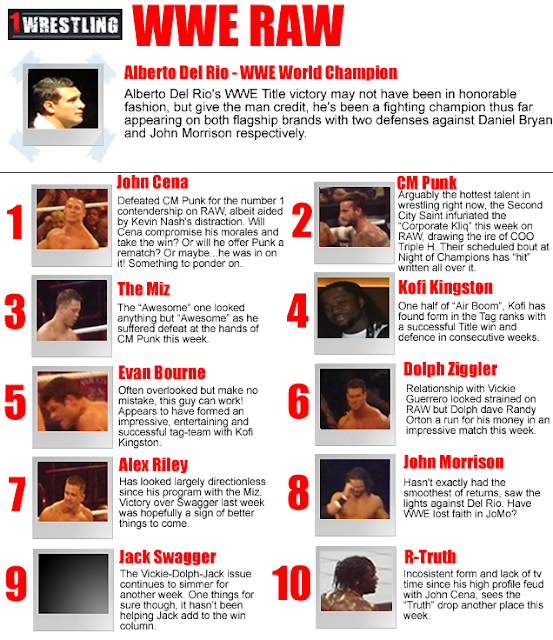 The Top 10 rankings are based on television and Pay-Per View win-loss records over the course of the month, quality of opposition, and inherent skill of each wrestler or team. 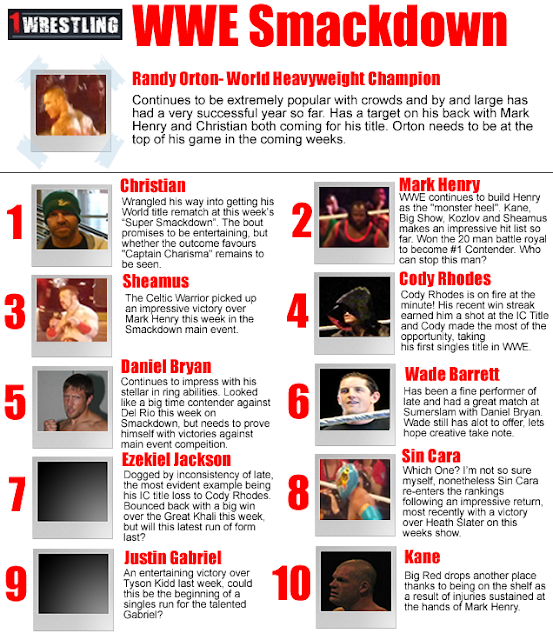 All other rankings are based on the official current positions of challengers to the Top Title in each category (I.E. Should a wrestler win a number 1 contenders match, he will automatically be afforded that ranking regardless of current win-loss record). Well that’s all for this week folks, if you have any comments or questions pertaining to the rankings, feel free to drop me a line at raymullan@gmail.com, my blog The Daily Dropkick or alternatively you can tweet me via @RayMullan. Thanks for reading, see you next week! Tags: Alberto Del Rio, christian, CM PUnk, Crimson, Impact Wrestling, John Cena, Kurt Angle, mark henry, Mr. Anderson, Randy Orton, STING, TNA, WWE, WWE RAW, WWE Smackdown.